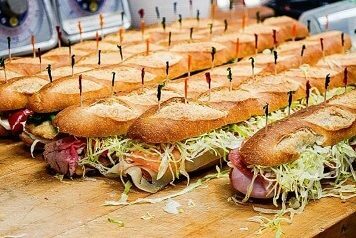 Our Italian Market & Deli catering is perfect for parties, corporate lunches, gatherings, and more. Support Calandra’s in Suburban Essex’s Magazine “Best of Essex” Contest! Celebrate Father’s Day at Calandra’s Italian Village! This Father’s Day, join us at il Vecchio Cafe for a selection of delicious Italian dishes from our Chef’s Specials or from our regular a la carte menu! Click here to see our full menu and pricing information! Celebrate Mother’s Day at Calandra’s Italian Village! Treat Mom at il Vecchio Cafe! We’re offering a brunch and dinner buffet with a variety of delicious options and drink specials! Click here to see our full menu and pricing information!